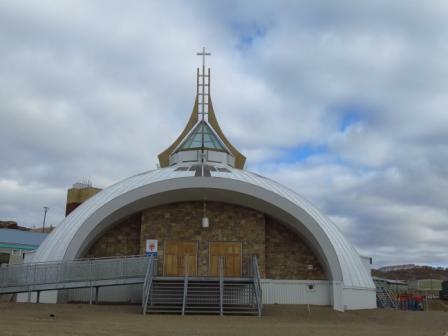 I have enrolment seminars to conduct Tuesday to Thursday this week for a new client in Iqaluit. Iqaluit is the largest city and territorial capital of the territory of Nunavut. 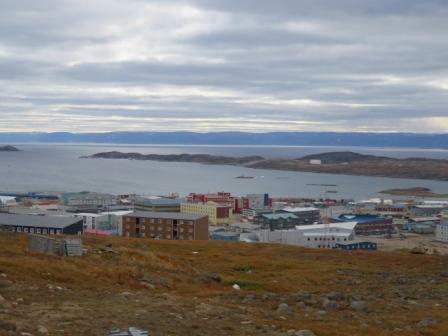 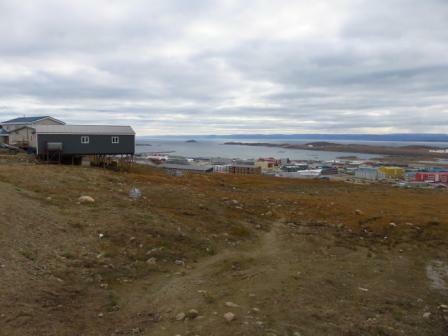 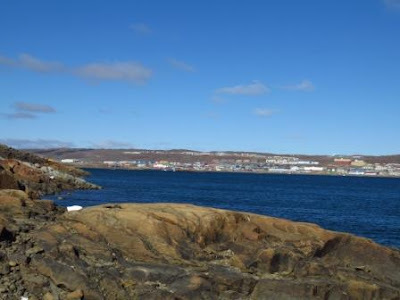 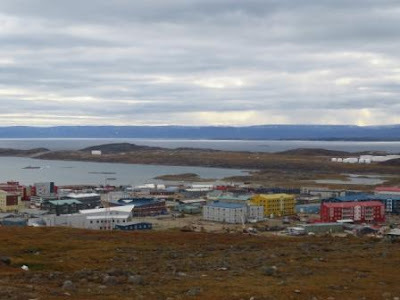 It was officially called Frobisher Bay until 1987, after the name of the bay on whose shore it is on. 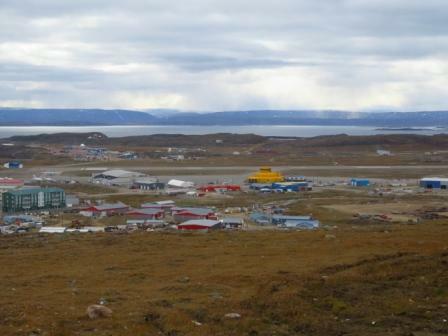 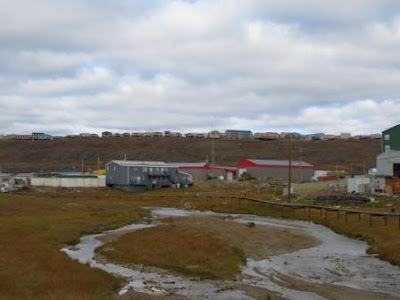 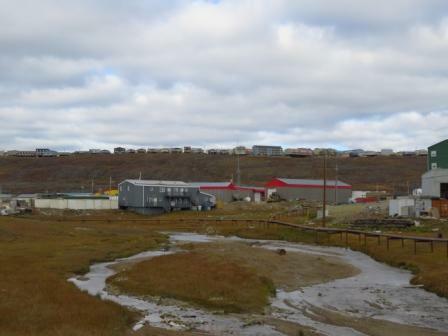 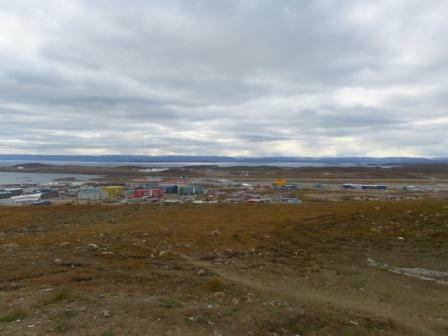 Iqaluit is located on the south coast of Baffin Island at the head of Frobisher Bay. 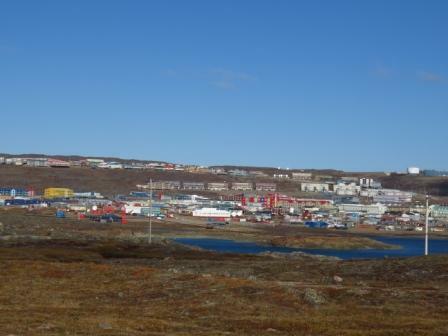 The population is about 7,000 (the lowest population of any capital city in Canada). 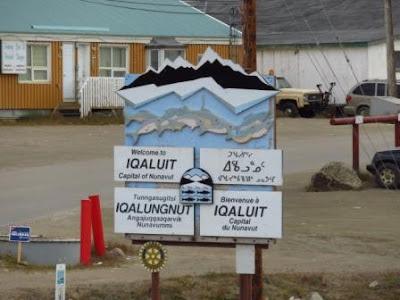 There is no flight from Toronto so I had to be on the 7am flight to Ottawa and then catch the 9:15am flight to Iqaluit (there's only one flight a day). So for Tuesday's seminars I'd have to travel tomorrow. 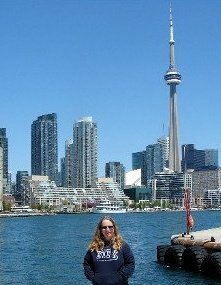 I've never been here before and wasn't sure when I'd get a chance to come again so I came a day early so I can spend tomorrow exploring. 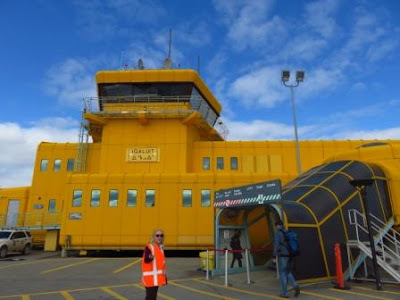 Here's the airport ... we deplaned outside. It was 8C/46F (3C/37F with the windchill) ... quite a change from hot and humid Toronto! 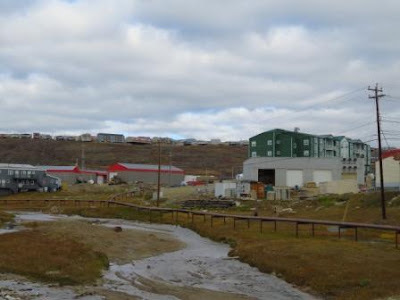 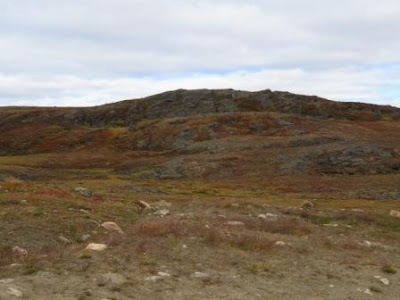 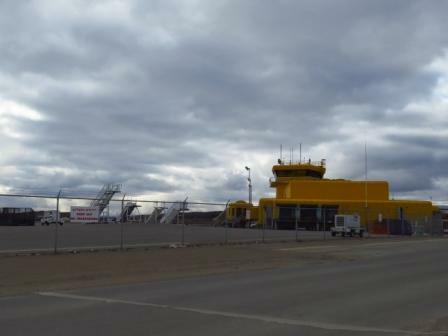 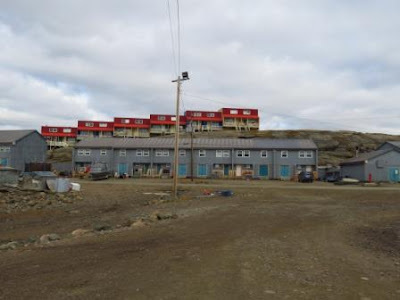 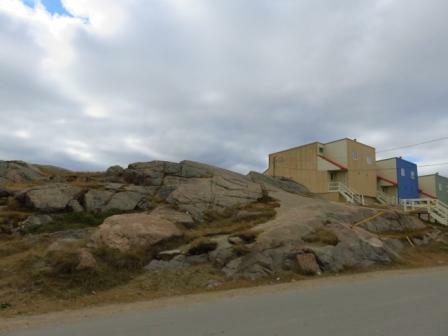 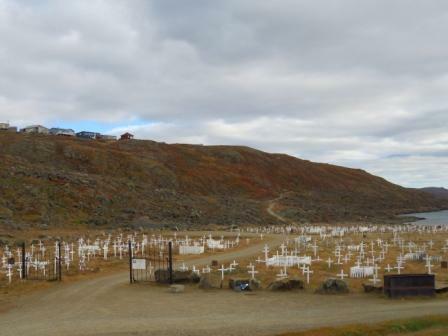 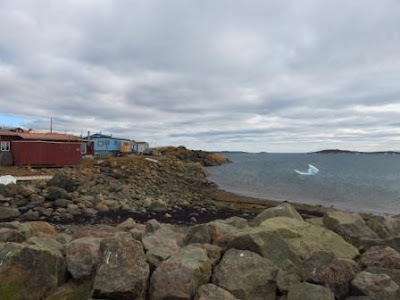 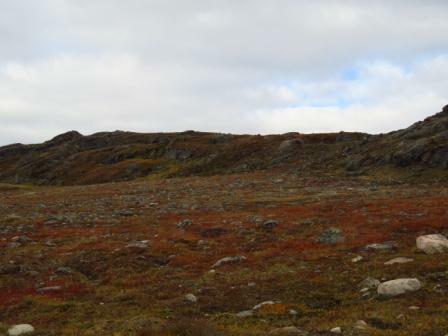 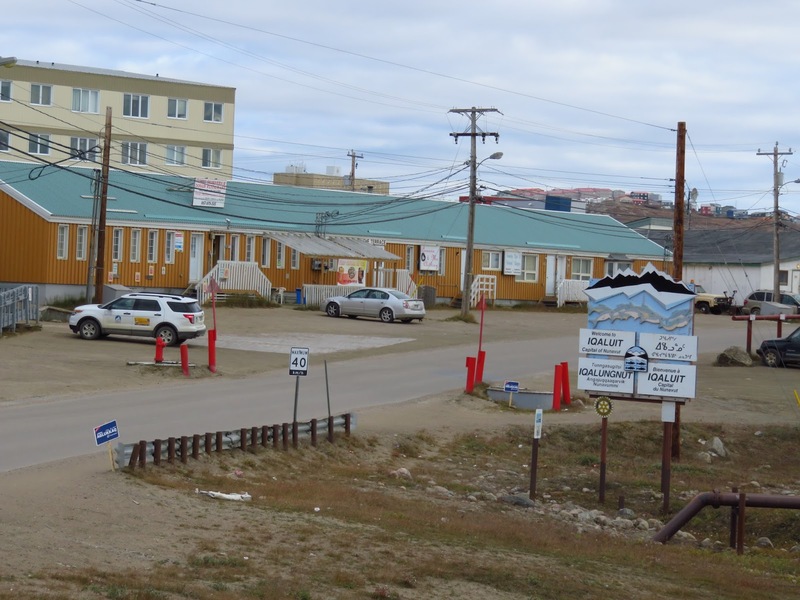 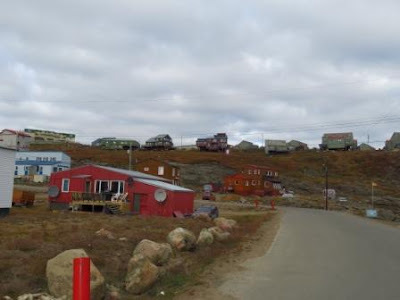 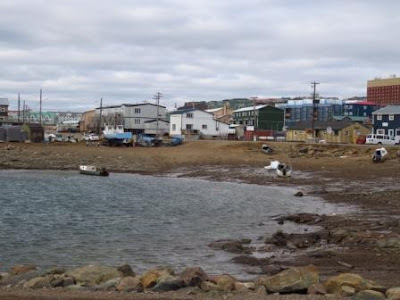 Here's a tour of Iqaluit. 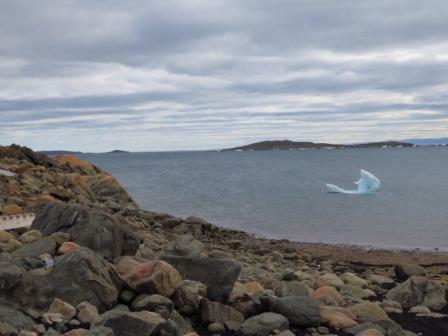 Yes, that's ice in the water! 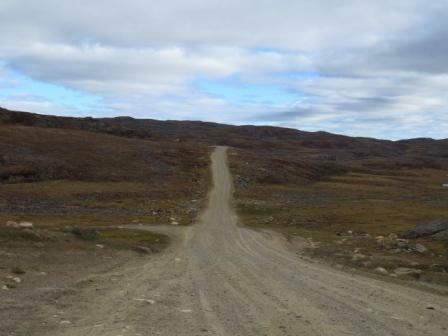 This is the Road to Nowhere ... that's seriously its name! 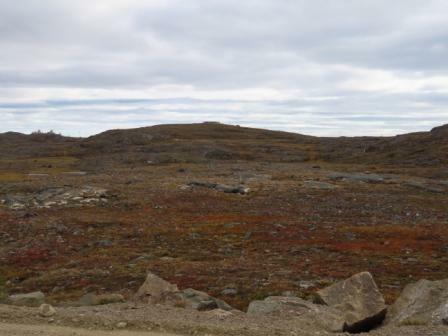 I drove down it for a bit (it's about 3.5km). 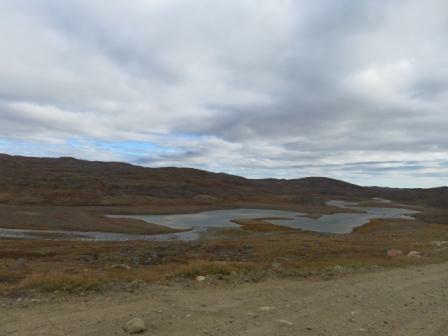 One minute you are in a subdivision and the next you're on a gravel road with great scenery. A friend of mine, a nurse, went up and worked at the hospital - for about 9 months through the winter - a couple of years ago - can you imagine the temps in winter if it is 8 degrees now-great you get to experience it though!